No. 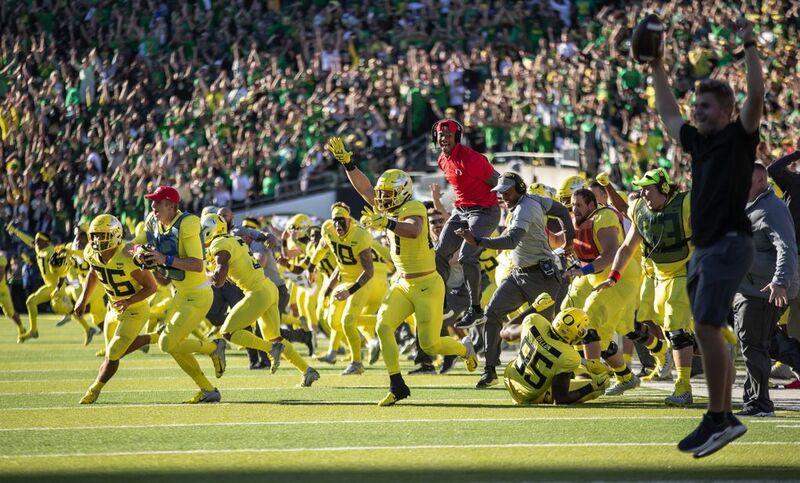 17 Oregon defeated No. 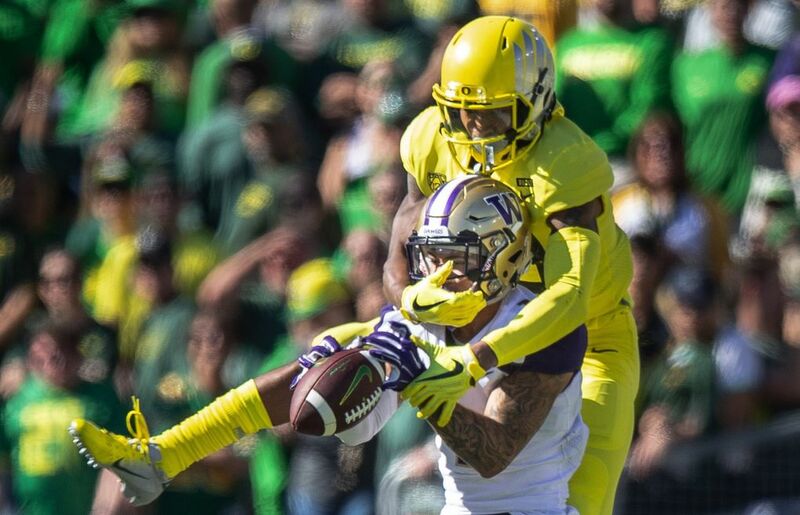 7 Washington 30-27 in overtime Saturday afternoon before a raucous crowd of 58,691 at Autzen Stadium. 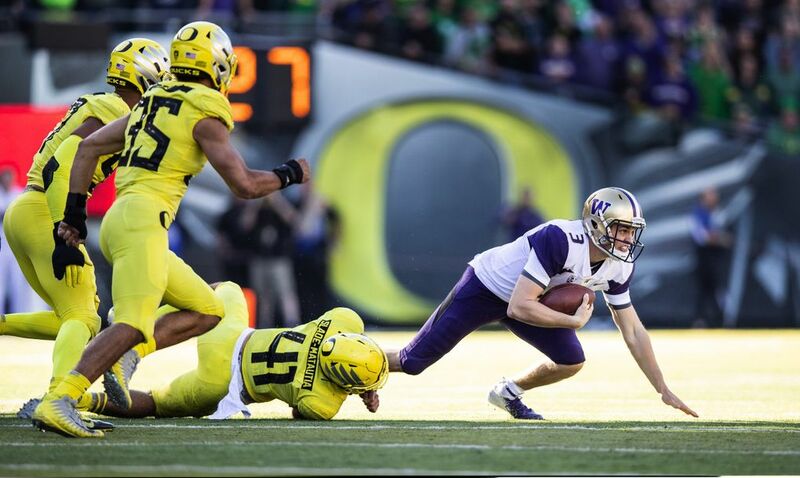 EUGENE, Ore. — On the fourth-quarter drive that could have defined his Washington career, that could have cemented his legacy as a Husky legend, Jake Browning was at his best. 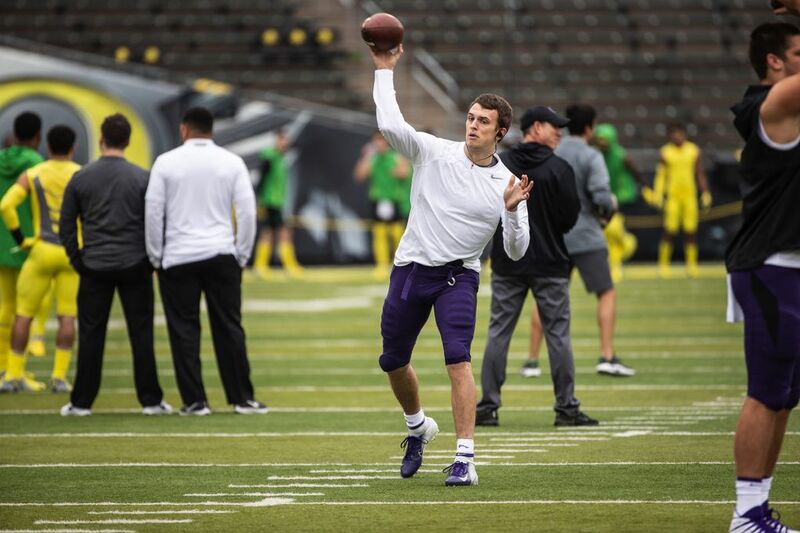 He completed all four of his passes on the drive, including a successful fourth-down throw to the Huskies’ third-string running back, to put the No. 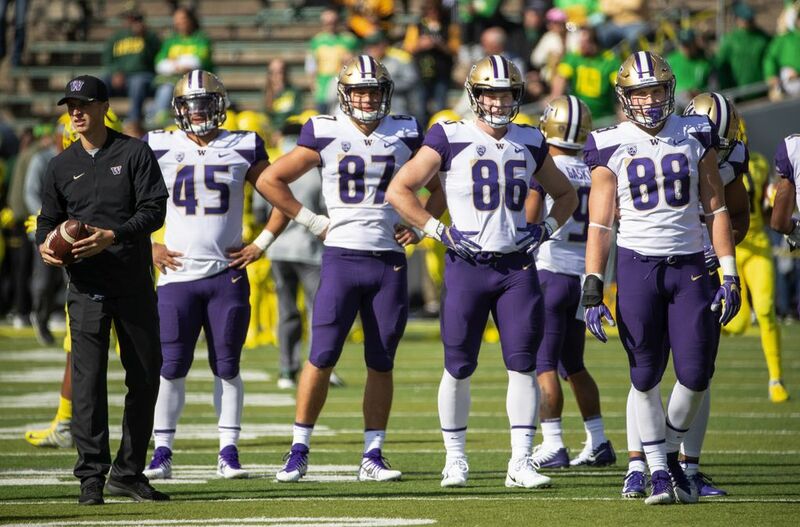 7 Huskies in position to win the closest, most-exciting game against their biggest rival in nearly two decades. Then, in the final minute of regulation, with the score tied on the road, with the end zone within reach, the No. 7 Huskies suddenly stopped. They played it safe. They put the game in the hands of their young kicker. No. 17 Oregon defeated No. 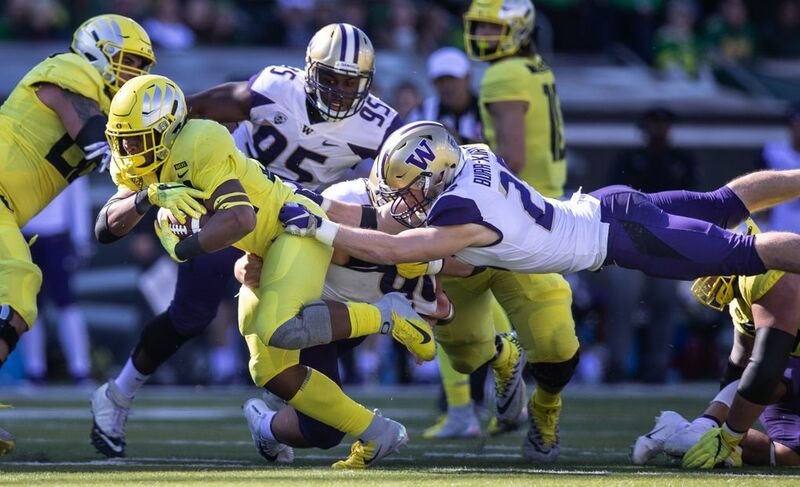 7 Washington 30-27 in overtime Saturday afternoon before a raucous crowd of 58,691 at Autzen Stadium. 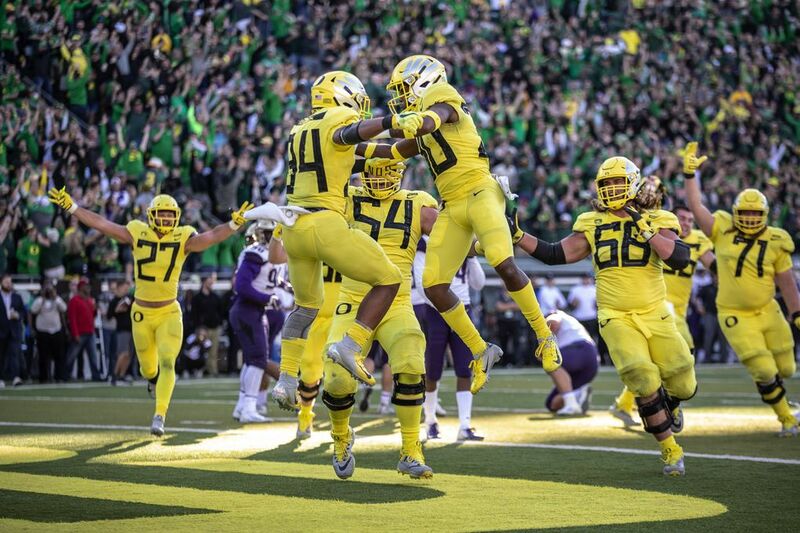 Oregon players, in their highlight-yellow uniforms, burst from the sideline after running back CJ Verdell’s 6-yard touchdown run in overtime gave the Ducks the victory. 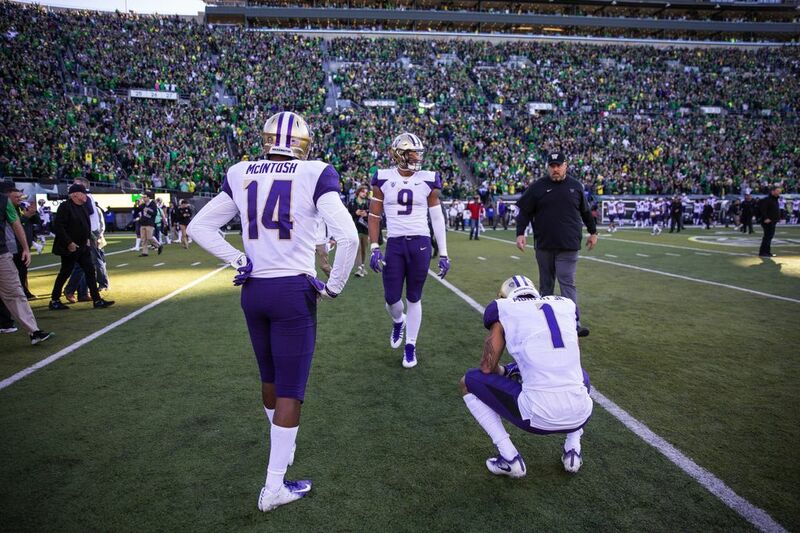 The Huskies had their chances — had the prime chance — in the fourth quarter. They didn’t capitalize. 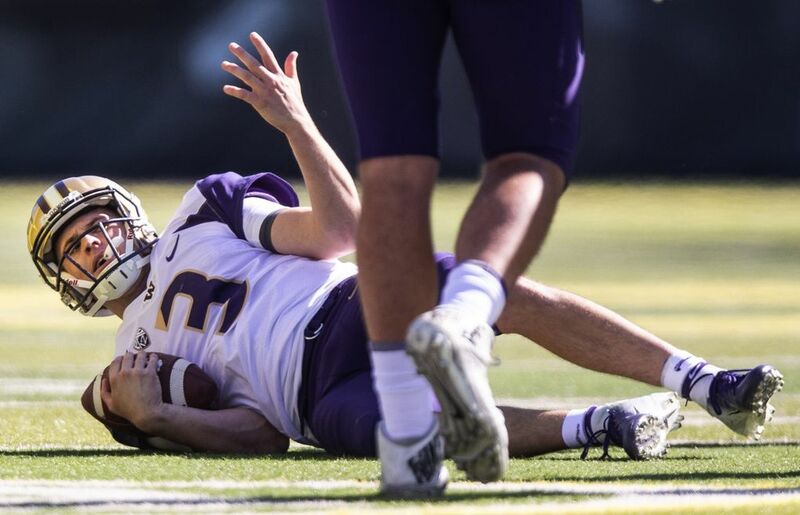 On a fourth-and-one play midway through the fourth, the Huskies fumbled away a botched snap. Then on the last play of regulation, redshirt freshman kicker Peyton Henry, who in the first half connected on a career-long 41-yard field goal, missed the potential game-winning field goal from 37 yards as the clock expired. 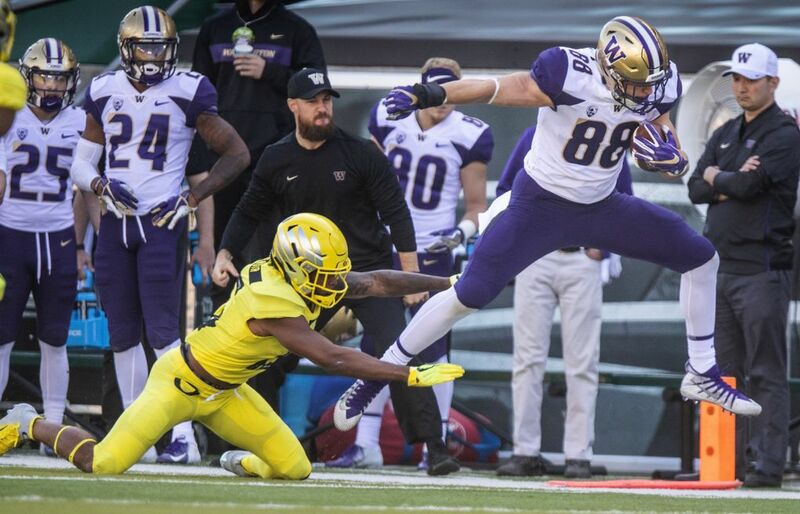 Browning had led the Huskies on a 12-play, 72-yard drive — a drive that began at their own 8-yard line with 5:05 left in the fourth quarter — and got the Huskies (5-2, 3-1 Pac-12) in position to go for the win. 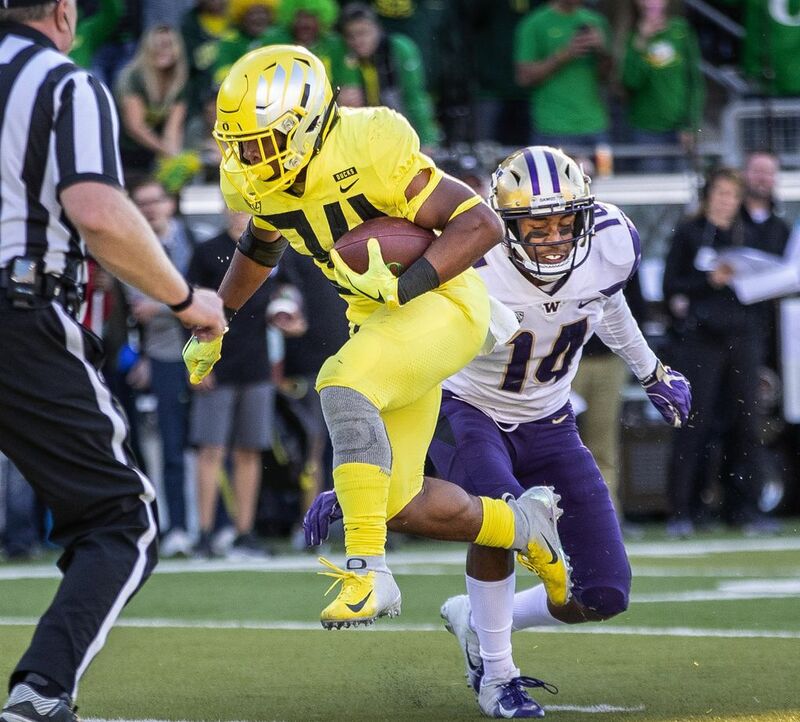 Sophomore running back Sean McGrew, getting the pivotal late-game carries because of injuries to Myles Gaskin and Salvon Ahmed, caught a 4-yard pass from Browning to convert on fourth-and-three with 1:08 remaining. McGrew ran for a gain of 8 yards on the next play, after which the Huskies called their first timeout of the half with 43 seconds left. McGrew then carried for a 1-yard gain to the Oregon 20, setting up a third-and-one with 35 seconds left. 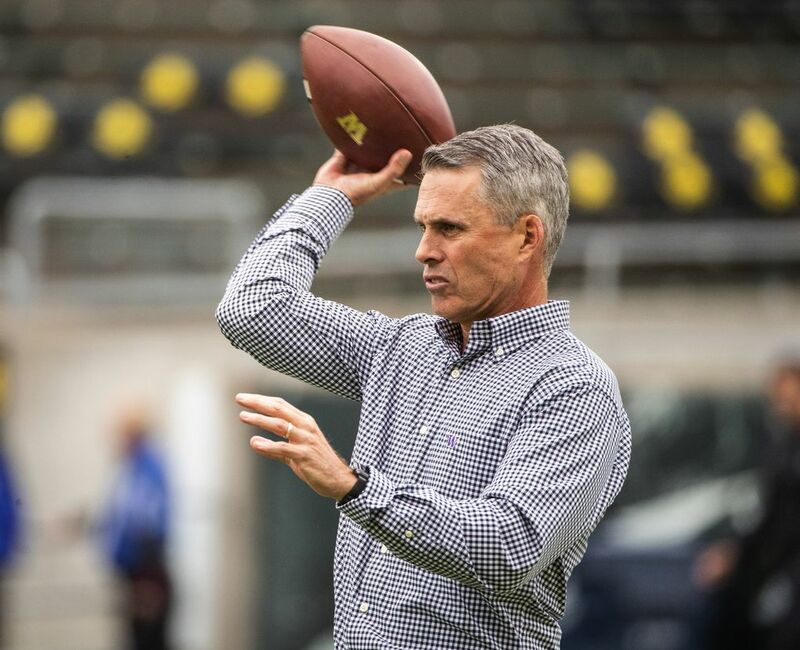 Instead of using one of their two timeouts there, Washington coach Chris Petersen elected to let the clock run down to three seconds. He liked where the ball was placed — in the middle of field, close to the right hash — for the left-footed walk-on Henry to try the field goal. 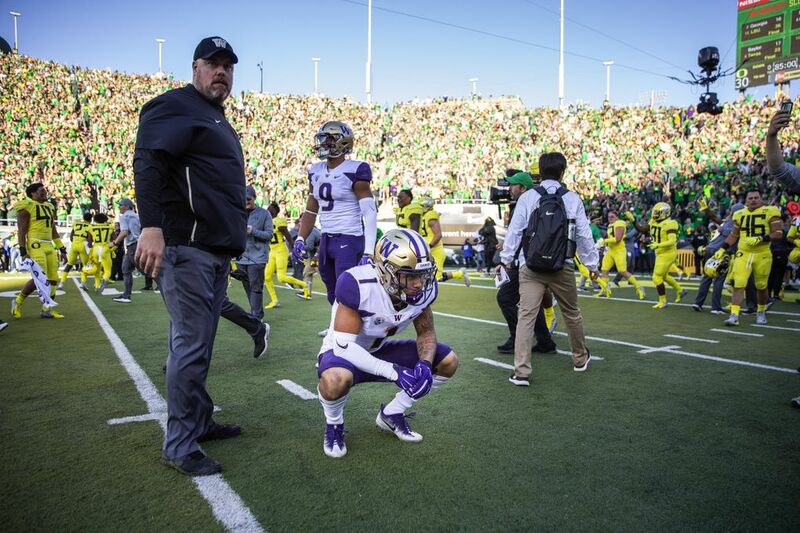 Browning and the UW players on the field looked momentarily confused as the play clock continued to wind down. On the one that did count, Henry hooked the kick just so to the right, wide. The crowd roared its terrible roar as the game went into overtime. It was the first overtime game between the two Northwest rivals. The Huskies had possession first in overtime. 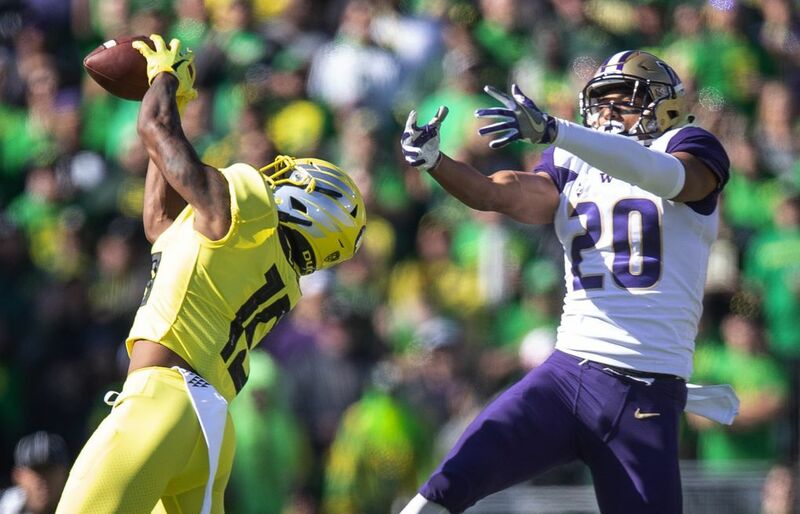 With Gaskin (shoulder) sidelined, Browning handed off to No. 4 running back Kamari Pleasant, who ran 19 yards to the Oregon 6-yard line. 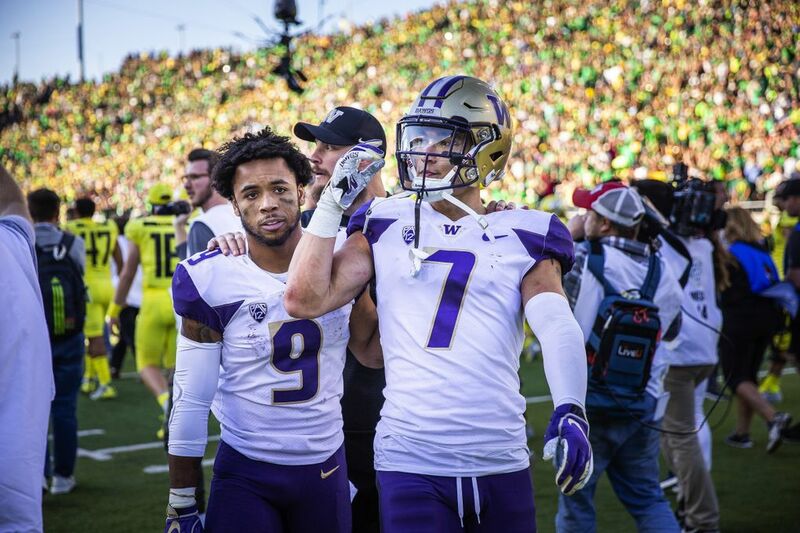 The Huskies couldn’t punch it in the end zone. Pleasant ran for 3 yards on first down, McGrew was stopped for no gain out of the wildcat direct-snap, and Browning’s third-down throw for the 6-foot-4 Ty Jones on the right side of the end zone was too high. 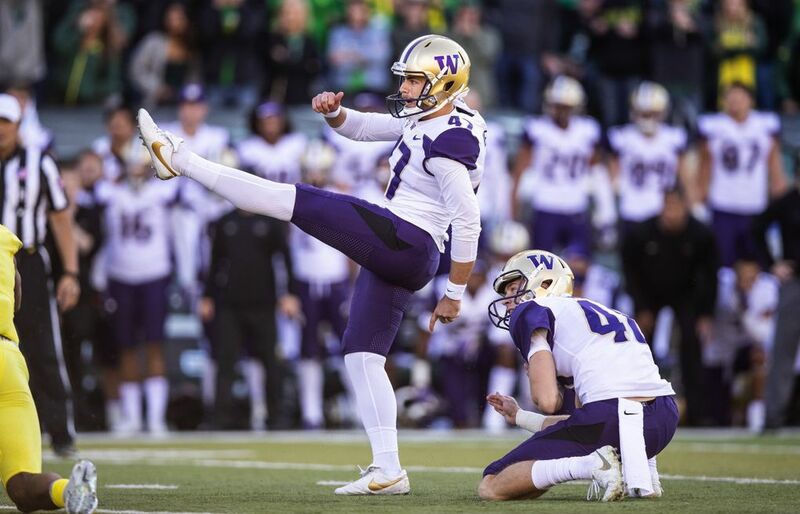 The Huskies had to settle for Henry’s 22-yard field goal, giving Washington a 27-24 lead. On Oregon’s OT possession, junior QB Justin Herbert completed a 17-yard pass to Dillon Mitchell to convert on third-and-11. 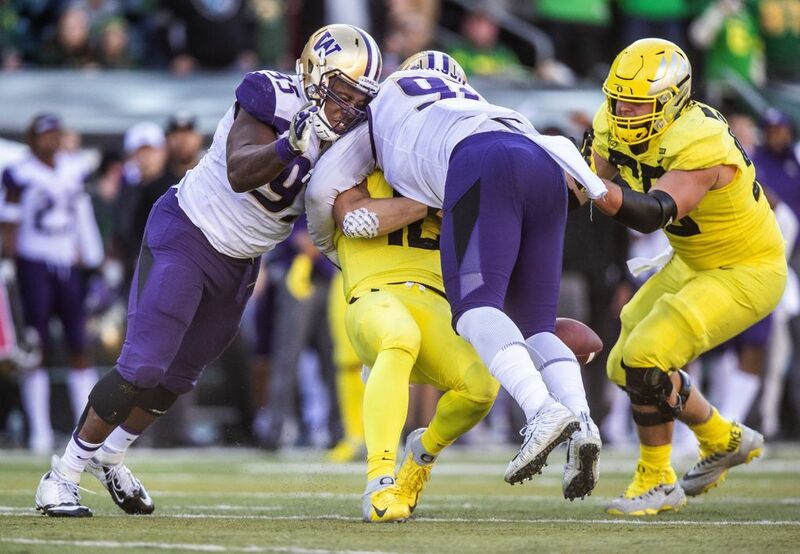 For much of the game, Washington’s defense had limited the big plays from Herbert, a projected top-10 NFL draft pick, but the Huskies’ third-down defense again fell flat when it mattered most. Three plays later, Verdell ran in from 6 yards straight up the middle, virtually untouched. 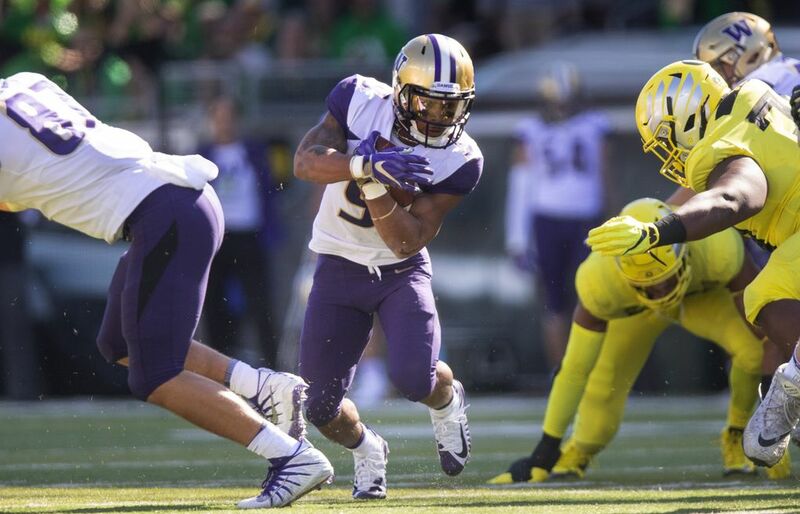 The Huskies had five defensive backs on the field and were anticipating a pass from Herbert. “It was the perfect play against what we were doing,” Burr-Kirven said. 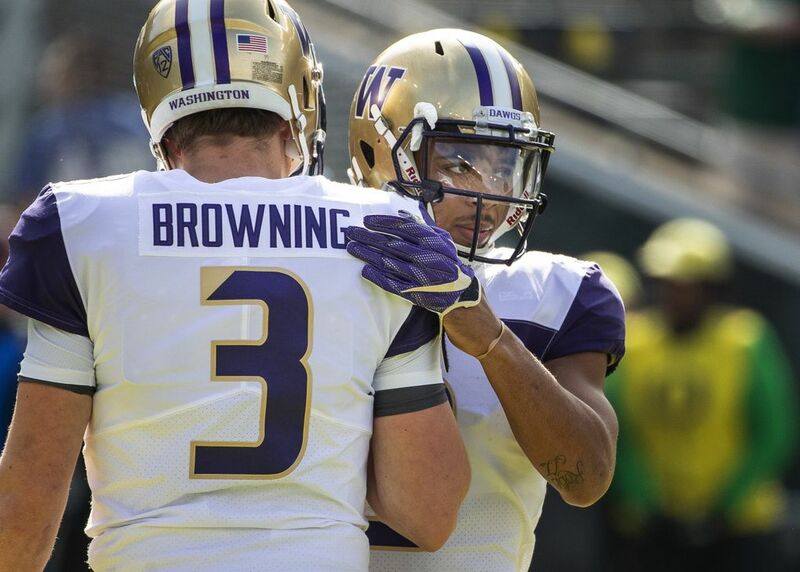 Browning finished 15-of-25 passing for 243 yards with one touchdown and one interception. He was 9 for 11 in the second half and OT for 152 yards, including a 43-yard TD pass to Jones that tied the score at 24-24 late in the third quarter. 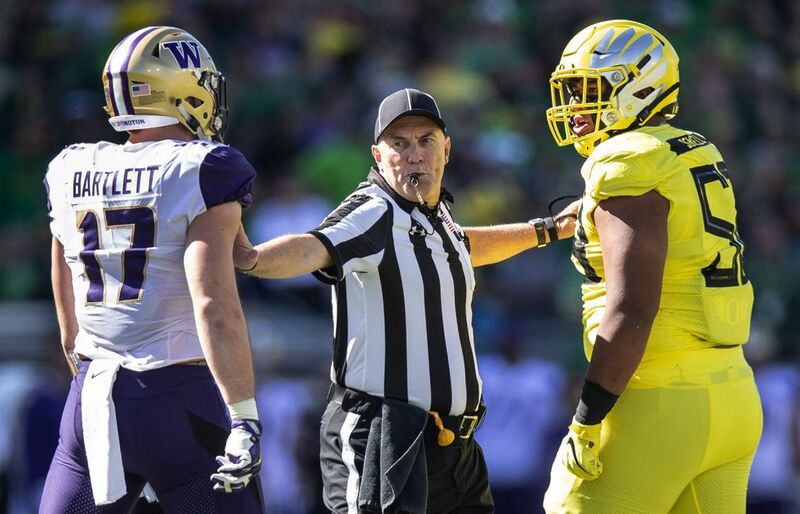 Only one other time since 2000 has the Washington-Oregon rivalry game been so close and meant so much in the conference title chase. 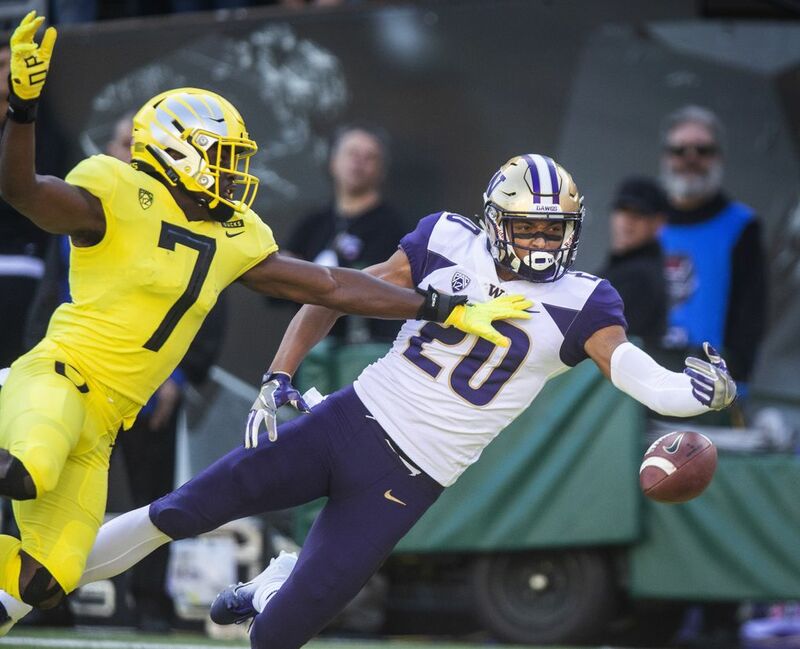 For much of the past two decades, the trend had been one side dominating the other — with the Ducks winning 12 in a row, then the Huskies winning the last two by a combined score of 108-24 — but Saturday’s game lived up to the hype, and the score was tied at the end of every quarter. 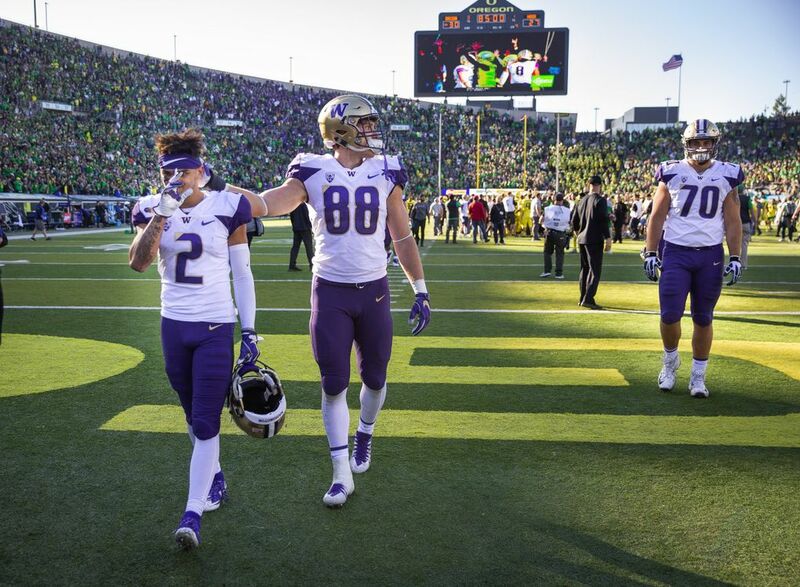 Browning was at his best down the stretch, and the Huskies will need more of that in the second half of the season if they want to stay in the Pac-12 race. 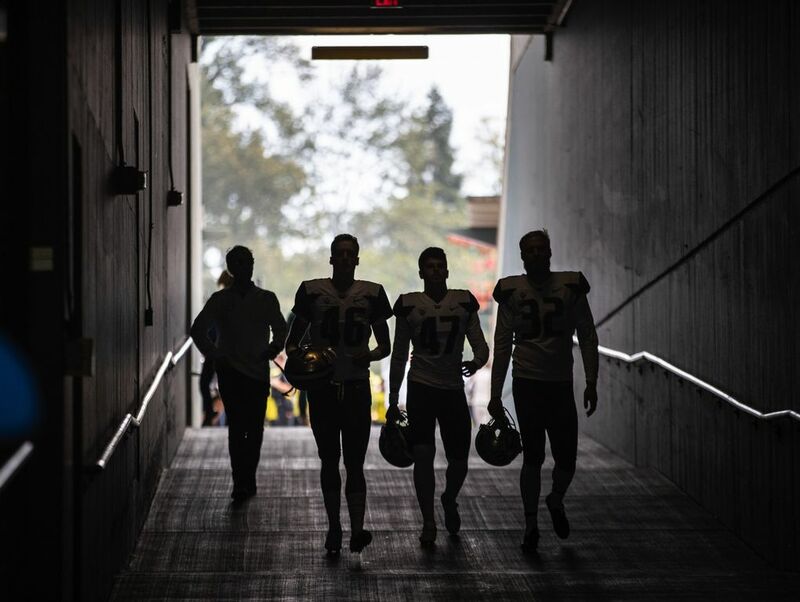 Every team now in the Pac-12 North has one loss.